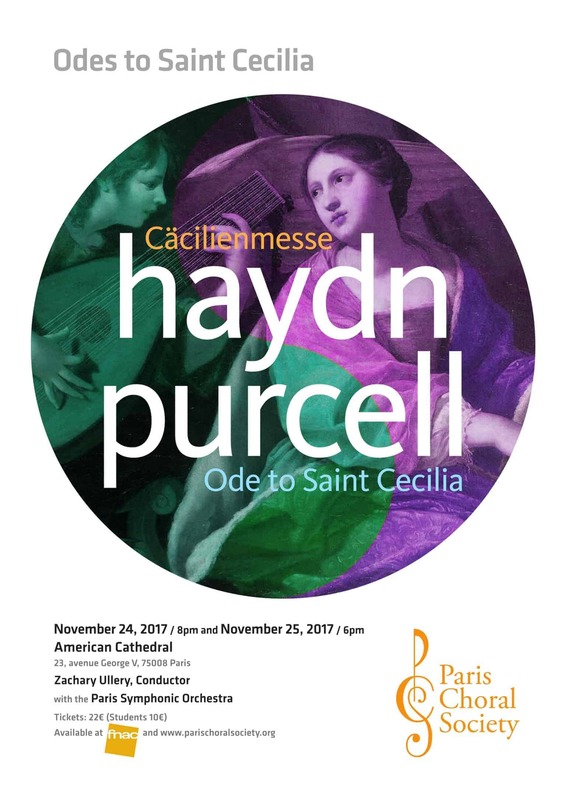 The Paris Choral Society presented its first concert of the 2017 – 2018 season, in celebration of St. Cecilia, the patron saint of music. We sang Joseph Haydn’s Cäcilienmesse and extracts from Henry Purcell’s Hail! Bright Cecilia. Under the baton of our musical director, Zachary Ullery, we were accompanied by the Paris Symphonic Orchestra and four exceptional soloists. It was a lovely and joyous concert of the highest quality!